We at ABCDreams (UK) have had a momentous month this February. 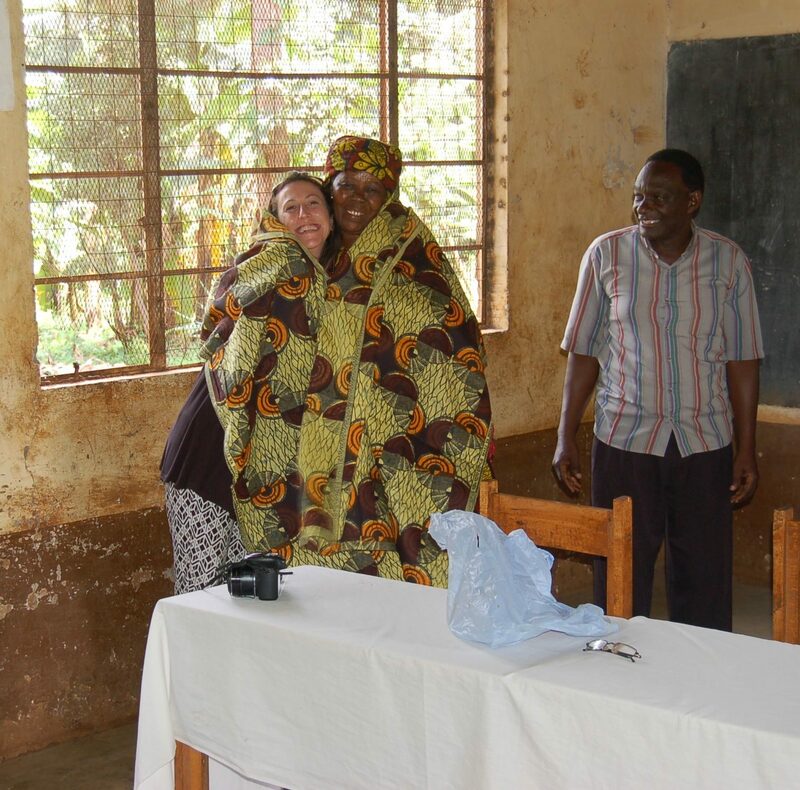 As well as assisting 65 students with their tuition fees thanks to every one of our donors, including those who even leave us spare change at the pub or at the surgery, we have also seen Martha settling in as a volunteer English teacher in the village (see previous post). Martha has settled in well, despite a recent cold and sore throat. 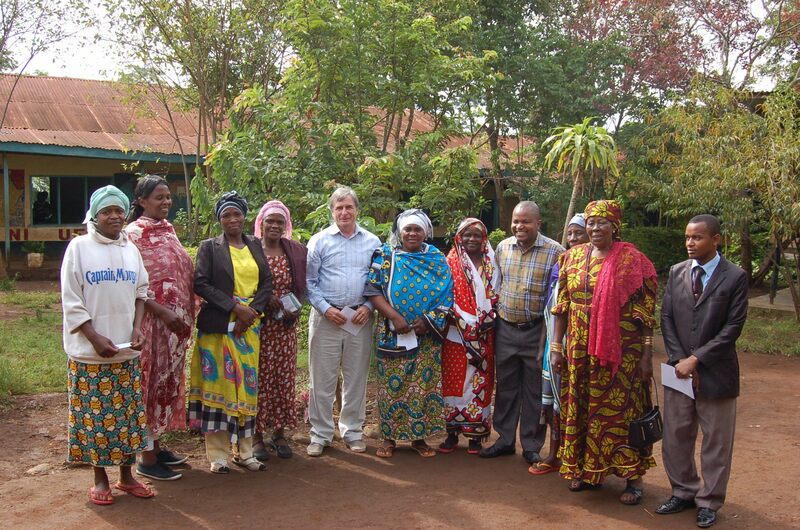 She is benefiting from her earlier Swahili lessons and from living in a Swahili-only household! She has also begun to alert her colleagues here to the very different teaching styles we use in Western schools, thanks to our more plentiful resources! After we made our donations for the students, I was asked to attend at 2 of the primary schools, Lyamungo Sinde and Mwowe because the parents wanted to thank us for our ‘zawadis’ (gifts). It was a truly touching moment as the parents were clearly very happy. In fact the whole village is abuzz with the news as well as with Martha’s teaching. It’s the first time anything like this has ever happened there. I believe they are also very happy because they know that all of you, including our donors have shown care and consideration for their plight. Now that Martha has settled in she has gotten to know the village and met many of the children. She teaches at Lyamungo Sinde 3 days per week, at Mwowe and ARI 1 day a week. It’s a heavy schedule of preps and a lot of walking! I’m sure she will work off all the calories that Bibi insists she takes in every day. Bibi is determined to demonstrate African hospitality. As well as working with Martha in our village I have had the privilege of helping my colleagues at ABCDreams (CANADA) during their recent visit in February. They have concentrated on their primary schools as usual in West Marangu but have now also agreed to contribute a small computer system to the local secondary school. This will be quite an event in the district as the school has pledged to allow the people of the village access to the computers and the internet, many for the first time. We are hoping that the project will prove a success so that we may expand to a fully-equipped computer room next year. So, a very busy February! And now I’m preparing for a return to the UK to do some fund-raising for next year’s round. Anyone for volunteering? Contact us here!